Please take a few moments to read some of our reviews from our customers. 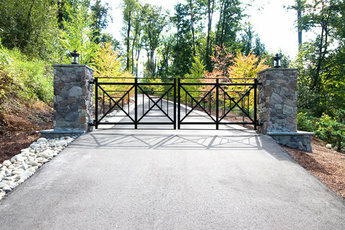 "Hi guys -- I just wanted to let you know I was out at the Issaquah house this morning, and the gate looks absolutely beautiful! Even better than I had hoped. All quality materials and construction, and the hinges operate very smoothly. The cedar tree silhouette looks just like I imagined it would. Great job! Thanks again for your beautiful craftsmanship on the gate." "Please offer my sincerest “Thank you” to your entire team. Doug Rich was great to work with in defining our needs and establishing a fair price. Jason Hale was great to work with in finalizing a design that met our needs. Mike Pishue was great to work with in scheduling the installation to comply with the association needs for security and speed. And; the crew you sent to install the gate and fencing system did so with professionalism, care and attention to detail. There were other in addition to Chris and Greg – please thank them all." “Automated Gates & Equipment Co. fabricated and installed the customized automated gate that provides access to the garage in our building. 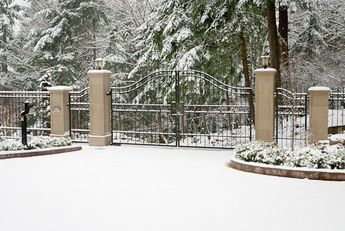 We are particularly pleased that that with over 4-years of operation in all types of weather conditions, the gate continues to open and close as smoothly as the day it was installed. We have experienced very limited issues and down time with the gate. When needed, Brian Thorpe and his team, can be counted on for prompt and reliable service. Brian offers great solutions, is quality driven and has a good eye and attention to detail. 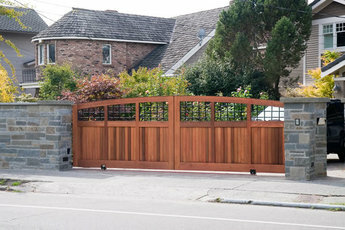 "Just wanted to let you know how pleased we are with our gate, it's gorgeous and definetly worth the wait! Big thanks to Dave, who came out and installed it (I didn't get the name of the other guy), he was extreamly nice and got everything done quickly. Thanks again, you guys did beautiful work!" "Thank you so much, we love our gate !!!!!"